In recent years, the term ‘endocrine disruptors’ has widely been featured in the media and a large debate about the health effects of these chemicals has been ongoing. Endocrine disruptors are chemicals that interfere with the normal actions of hormones in the endocrine system in our bodies. “The endocrine system is important for many different reasons. It's important in terms of growth and development all the way to adulthood and for reproduction. It's important in terms of immune function and metabolic health, which has relationships to obesity, diabetes,” Prof Russ Hauser, professor of reproductive physiology at Harvard University (USA), said during a conference. These chemicals can be found in a number of household, cosmetic and personal care products that we use in daily life, but also in food packaging. Estimates suggest that there may be around 80,000 of these chemicals around in commercialised goods, few of which have been tested for effects on human health or studied in details. While their exact mechanisms of action on the endocrine system and the full extent of their health consequences therefore remain unclear, more and more data is being collected by scientists, and the public is becoming increasingly aware of their potential risks. A number of studies, mainly in-vitro and in animal models, have associated endocrine disruptors with a range of pathologies and long-term health effects, although these vary greatly depending on the level of exposure and on the specific chemical that is analysed. The health problems identified in most studies are usually directly linked with endocrine and reproductive functions such as infertility, as well as changes in the normal onset of puberty and puberty-related development. Research by Tamarra James-Todd, Professor of Environmental Reproductive and Perinatal Epidemiology, has focused on pregnancy complications such as preterm birth and gestational diabetes, looking at whether endocrine disruptors may play a role. Using data from two large ongoing cohort studies in the US, the scientists have focused on a particular class of chemicals known as phthalates which are commonly used in cosmetics and food packaging. “We do see some suggestion that higher concentrations for some of the phthalates actually are associated with higher glucose levels and with a heightened risk of gestational diabetes,” Tamarra James-Todd explains. Alterations of the insulin response leading to diabetes in the general population have also been observed by other research teams, the most robust evidence for this being focused on the action of a chemical known as (p,p'-DDE) which was used as part of a pesticide. Other problems resulting from the action of endocrine-disrupting chemicals may include metabolic syndromes and obesity, as well as the promotion of breast, testicle and prostate cancer. Although the evidence is currently more limited, endocrine-disrupting chemicals have also been investigated for their role in immune and autoimmune diseases and for their link to brain development problems. 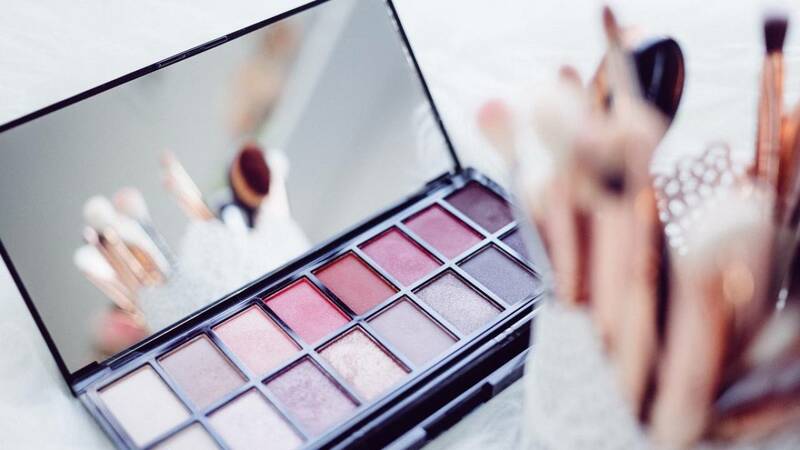 Today, cosmetics often include a wide range of compounds including fixatives, dyes, and preservatives such as parabens or formaldehyde, metal salts, UV filters, solvents, and fragrance ingredients. Research into the effects of endocrine disruptors have mostly focused on household and agricultural products, but this is a problem that also has to do with cosmetics. In a new study published in the journal Cosmetics, researchers reviewed the evidence for some of these compounds acting as endocrine disruptors. Among the examples they highlight, several UV filters which are suspected to have some endocrine activity impacting reproductive function, or associated with carcinogenic activity. Another example are the organic compounds known as alkylphenols, which are used as emulsifiers, wetting agents and antioxidants. They are believed to be associated with a decrease in fertility as well as decreased survival in animal models. In humans, they have been linked to a disruption of placental function during pregnancy. In order to fully understand the potential risks of exposure to these chemicals and to weigh this with the potential benefits of using them in certain products, robust quality research must go on. One of the biggest projects launched recently in Europe, known as EDCMET, is part of such a strategy. Little research has so far been conducted to assess whether and by what route endocrine disruptors influence metabolic processes in the body, and the purpose of the initiative will be to develop methods to identify the chemicals that are to blame and to characterise the disruptions they cause. It’s important to note that our exposure to endocrine disruptors is at low levels. In most products, these chemicals are in relatively small quantity. But as data emerges to suggest that even a low dose exposure to some of these chemicals can have effects in human, there is a need for scientists to find out more about their effects, and for consumers to carefully assess the evidence and in some cases, turn to more natural alternatives when buying their cosmetic products.